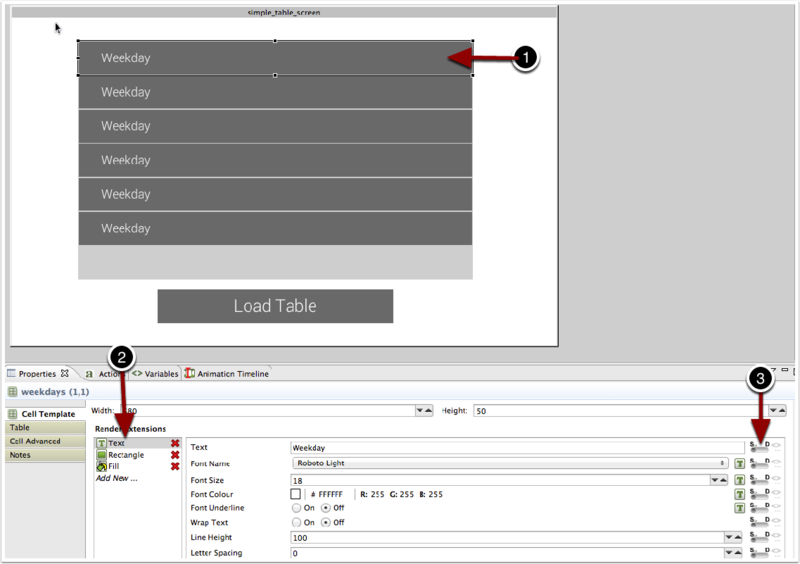 In the Application Model, double-click callbacks.lua to open it for editing. 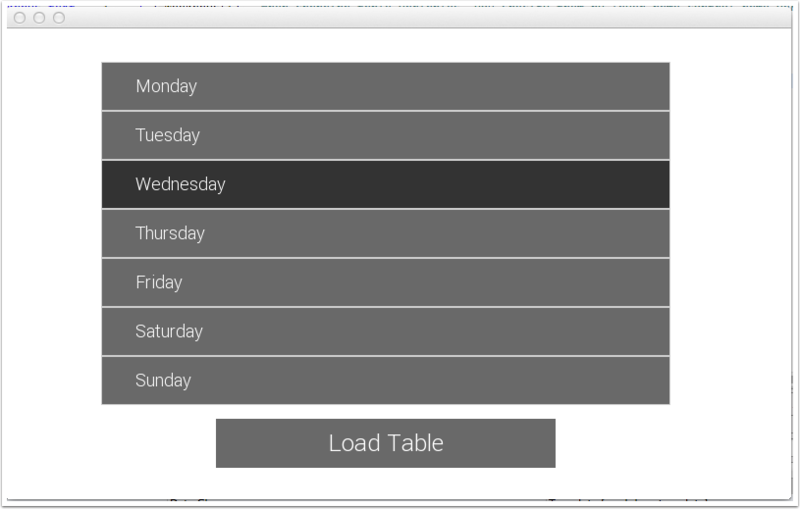 Let's add code to iterate through the weekdays table to populate the table cells that we have so far. 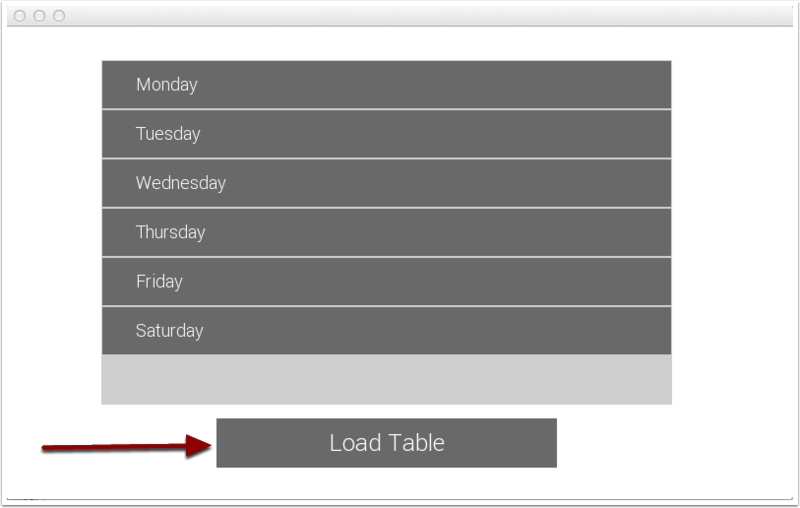 for i=1,#weekdays do --The "#weekdays here returns the number of entries in the table." Let's run the application again and check our progress. 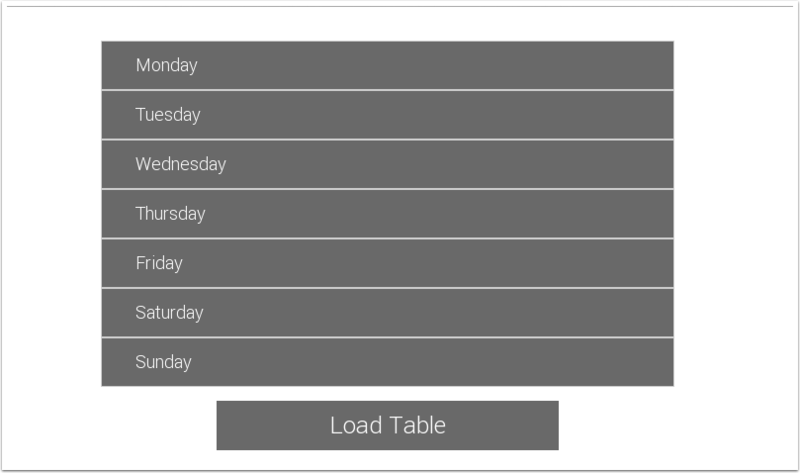 Let's add another table variable but this time to the Fill render extension. To start, you'll notice we've only included 4 of the rows. Run that to see it fixed. 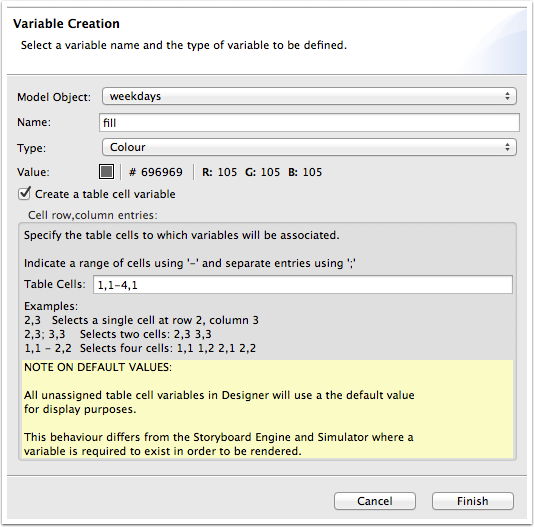 Next we're going to add a few actions on the table cell. We'll add gre.cell.gotfocus with a Data Change action, gre.cell.lostfocus with a Data Change action, and gre.press with a Lua Script action lostfocus will change the fill to #696969 and gotfocus will change it to to #333333. The lua function is cb_cell_press. You can add those parameters below the trigger events on the Actions tab, as you can see below: Here's the highlighted row! Now we're getting meanigful data from that row that we can use elsewhere if required. 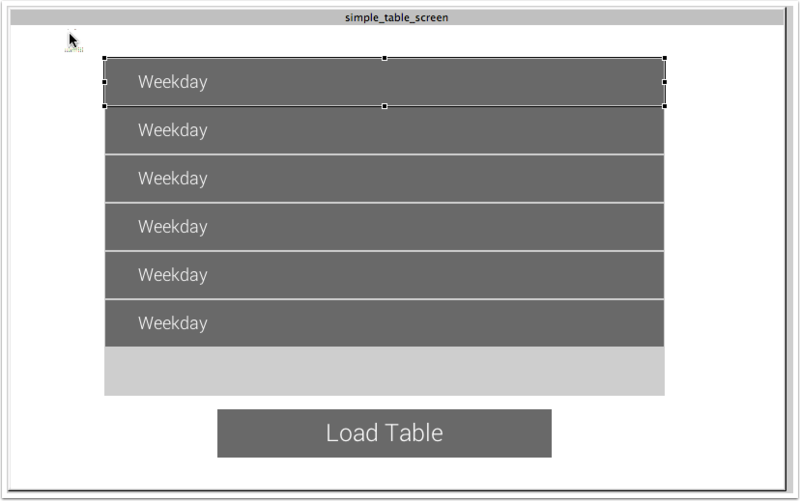 Now that we've play around with the different table settings to see what they do, try adding another variable and render extension. Perhaps add an image on the right of the table. 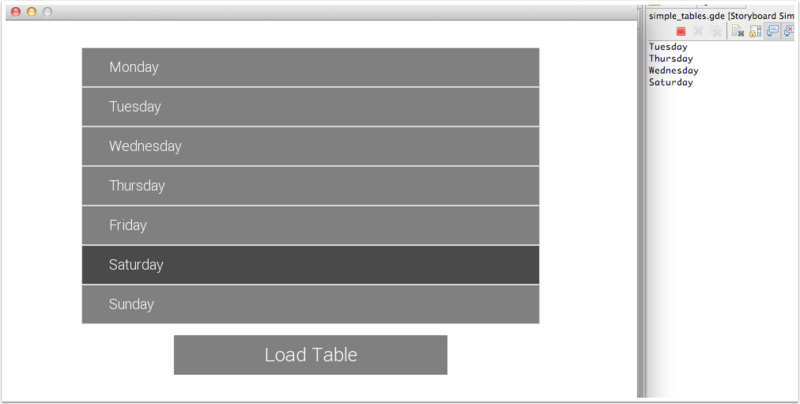 To help you out, take a look at our lua documentation to see what else you can do to add functionality to tables in your user interfaces.